This third instalment in the Deadly D series is another page-turning adventure story that sees Dylan and his loyal friend, Justice Jones, desperately trying to keep the secret of Deadly D from being revealed to the world. But is it time for Dylan to fess up to his mother about how he has been using his superhero powers? What will the Brisbane Broncos do if Deadly D doesn’t return? And why are Dylan and Justice Jones being pursued by Socks and Jocks, two mysterious clowns who work for the villainous Ringmaster? 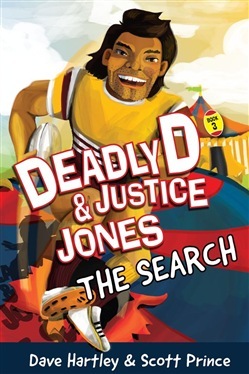 Join the boys in a fantastic nail-biting orange-van ride as they uncover the dark secrets of the Big Top.This third instalment in the Deadly D series is another page-turning adventure story that sees Dylan and his loyal friend, Justice Jones, desperately trying to keep the secret of Deadly D from being revealed to the world. But is it time for Dylan to fess up to his mother about how he has been using his superhero powers? What will the Brisbane Broncos do if Deadly D doesn’t return? And why are Dylan and Justice Jones being pursued by Socks and Jocks, two mysterious clowns who work for the villainous Ringmaster? Join the boys in a fantastic nail-biting orange-van ride as they uncover the dark secrets of the Big Top. 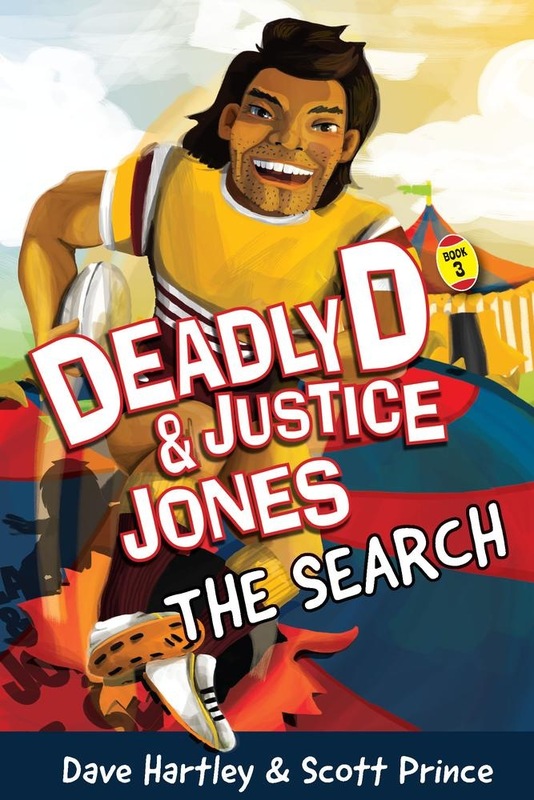 Acquista Deadly D and Justice Jones in Epub: dopo aver letto l’ebook Deadly D and Justice Jones di Scott, David, Prince, Hartely ti invitiamo a lasciarci una Recensione qui sotto: sarà utile agli utenti che non abbiano ancora letto questo libro e che vogliano avere delle opinioni altrui. L’opinione su di un libro è molto soggettiva e per questo leggere eventuali recensioni negative non ci dovrà frenare dall’acquisto, anzi dovrà spingerci ad acquistare il libro in fretta per poter dire la nostra ed eventualmente smentire quanto commentato da altri, contribuendo ad arricchire più possibile i commenti e dare sempre più spunti di confronto al pubblico online.